Here you can find some of the most picturesque canals and Palazzi, besides art showcases in every corner, without the "hustle and bustle" that you might expect being so close to the city center. It is also the student area, home to the renowned Venice Ca' Foscari University, therefore welcome more nightlife than the rest of Venice. The general vibe is creative, youthful and relaxed. The district heart is Campo Santa Margherita, only 2 minutes' walk from the Mantegna apartment: in the daytime you can find a nice open-air market, children playing, locals walking dogs, shops and cafes; in the evening several trendy or classic bars and restaurants opens till midnight and after. 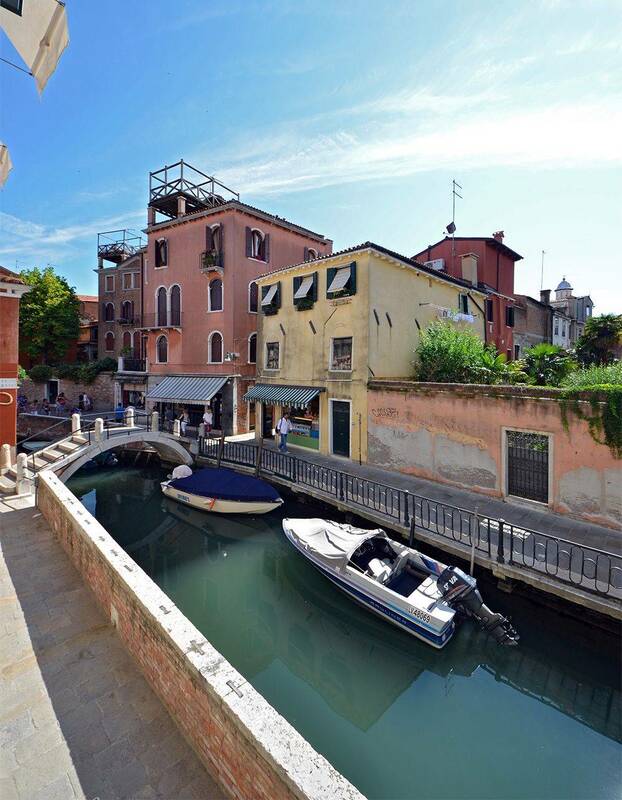 It is located at the first floor of a typical Venetian renaissance Palazzo, therefore easily accessible, and offers a very picturesque canal view. 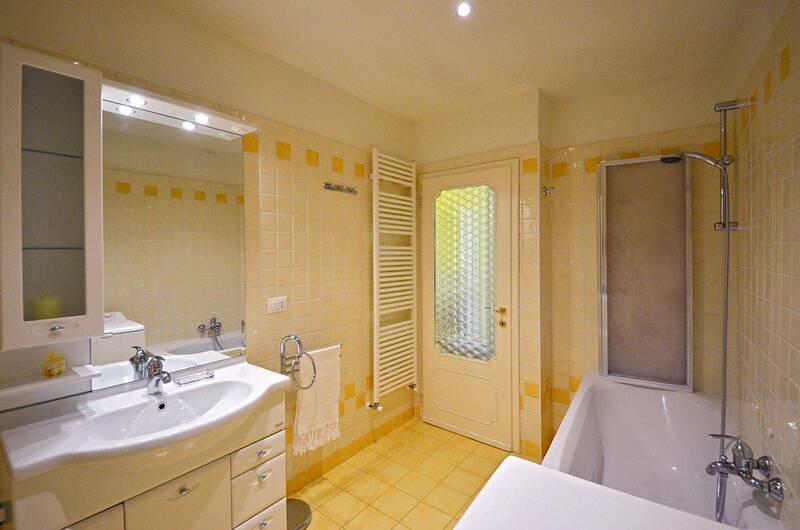 It has been recently renovated and features a young and easy living sort of atmosphere. Each room is painted with a different pastel color, while the furniture is predominantly white, balancing out the wall hues and resulting in a cozy ambience. It is composed of an entrance room that leads through arched passages to the super-bright living room and super-functional kitchen on one side, and to the bedrooms to the other side. The main bedroom has a large double bed with generous wardrobe and a computer desk, while the second bedroom is smaller and has two single beds with a drawer (the closet for this room is found in the more spacious entrance room). 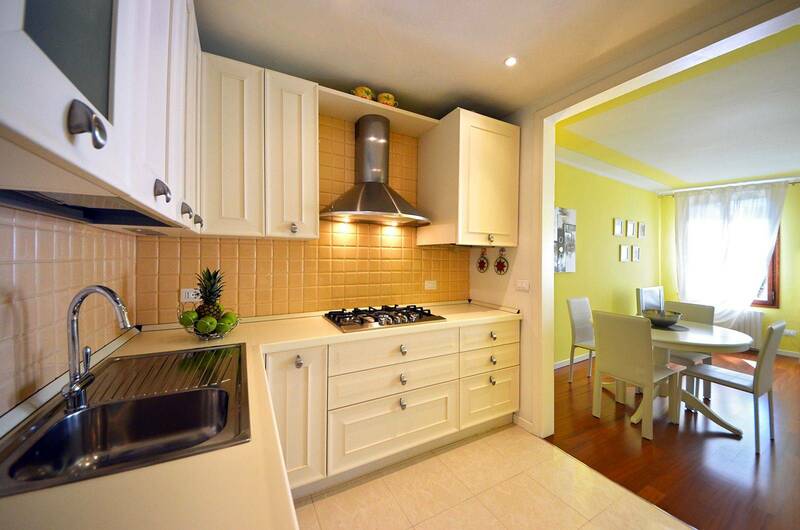 The kitchen is equipped with every possible amenity and offers the opportunity to prepare delicious "master chef" meals, while the dining table of the living room can be extended for up to 6 people. The comfortable pull-out sofa offers the opportunity to accommodate up to 6 people, but we suggest the Mantegna for maximum 5. 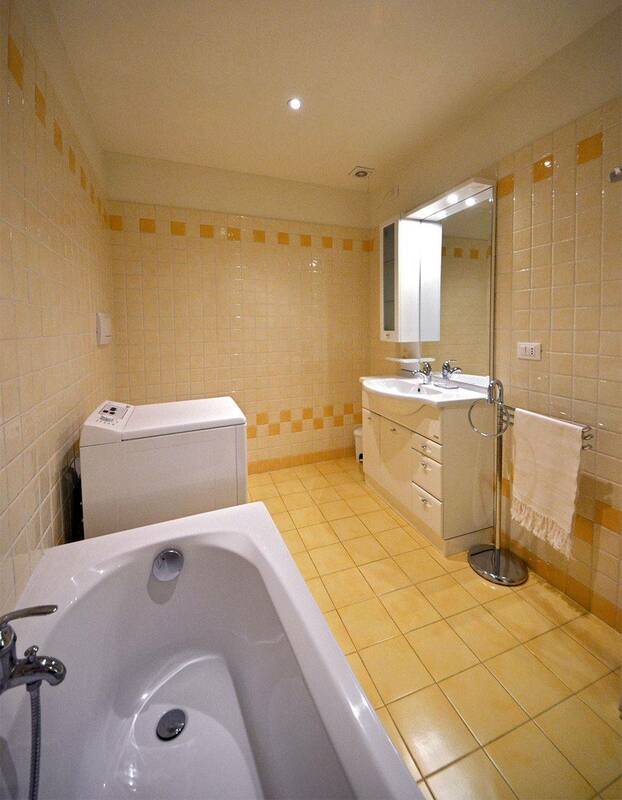 Last but not least, the 2 bathrooms (one with shower and one with bathtub) are both spacious and well-designed. The amenities of this house include air conditioning, wireless internet connection, brand new appliances, flat screen TV, DVD player, etc... 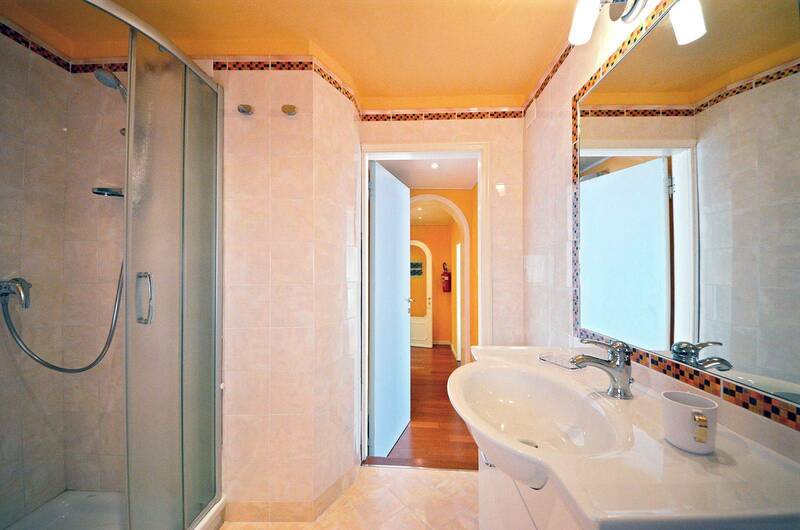 Joining the Mantegna and the Guardi apartments, located in the same building, you have the option of accommodating up to 10 guests (combining these two you get the Guardi Premium). If this is available, book it now, You can't do better. Dorsoduro is best location and this is in the center, A few minutes to Academia Bridge and Vaporetto stop. Around the block from Rezzonico Vaporetto stop. Modern bathrooms and kitchen. Fully equipped. Staying at the Magegna made a great visit to Venice even better : we were just where we wanted to be -- in a non-total tourist area, on a small canal, conveniently near transportation, museums, restaurants! (Do eat breakfast at the Toletta Snack Bar -- across the bridge and to the left). Truly Venice made everything easy, from greetings to a well stocked, clean apartment and a book filled with information and good advice about our stay. Two bathrooms was a luxury we loved. Would stay here again...and hope to!!! 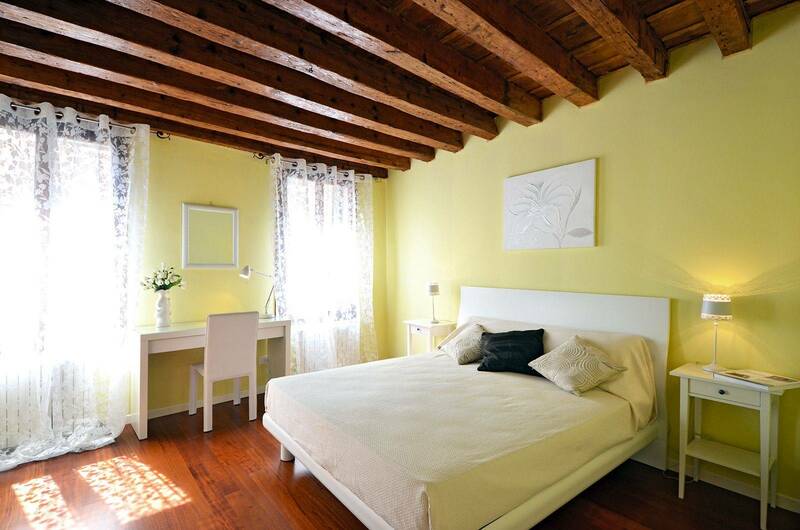 On the canal, in one of the best neighborhoods in Venice, the Mantegna apartment is magical! 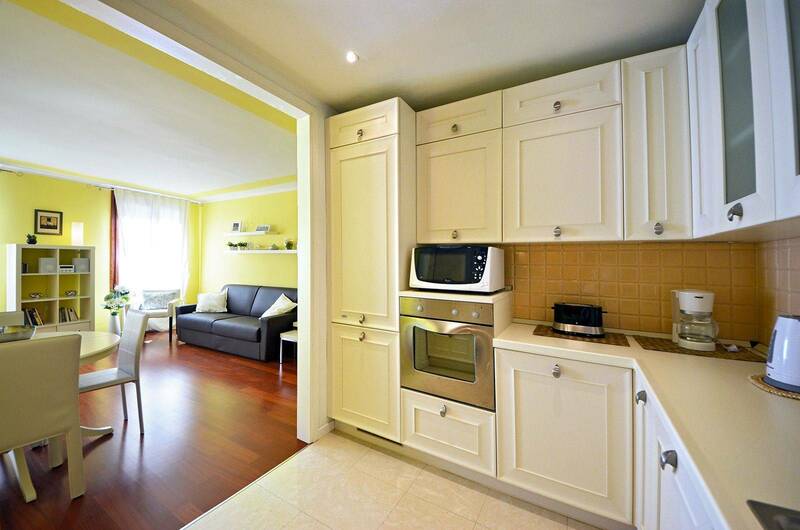 The kitchen is gourmet, the apartment is spacious and within perfect walking distance to everything. We will be back! The situation is just perfect, near eveything (bank, pharmacy, bookshop, ponte del Accademia, restaurants, little floating market, bigger market, very interesting sites, wondefull Zattere), with not too much tourists. The appartement enjoys a pretty view on a little canal and a little leafy terrace. Its two bedrooms and two bathrooms make it perfect for a family. Sure I want to stay here again when I come back in Venice, which I hope is very soon!!! Location, location, location. I cannot think of a better location, or a nicer accommodation. The apartment is located on a smaller canal, with a very pleasing view, and it receives a lot of afternoon sun, which is most welcome in the spring. 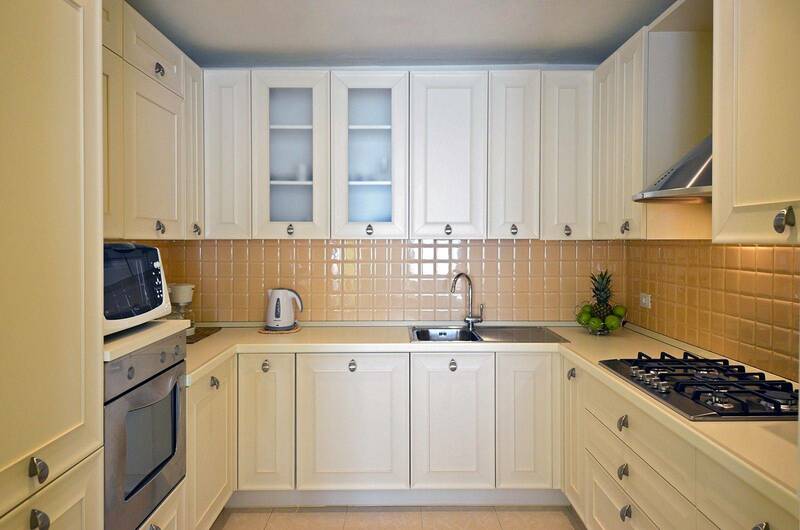 The location is perfect for anyone who really enjoys food and wine, as the apartment is very closeto lots of very good restaurants, the fruit and veggie barge at San Barnaba, a well-stocked supermarket (look upstairs for very good prepared foods), and excellent tremezzi and cicchetti. The apartment is impeccably clean, very well maintained, and well appointed, and yes you can actually cook meals in the kitchen. We enjoyed just hanging out in the apartment, and it is so close to things that is easy to return during the day for a bit of a rest. 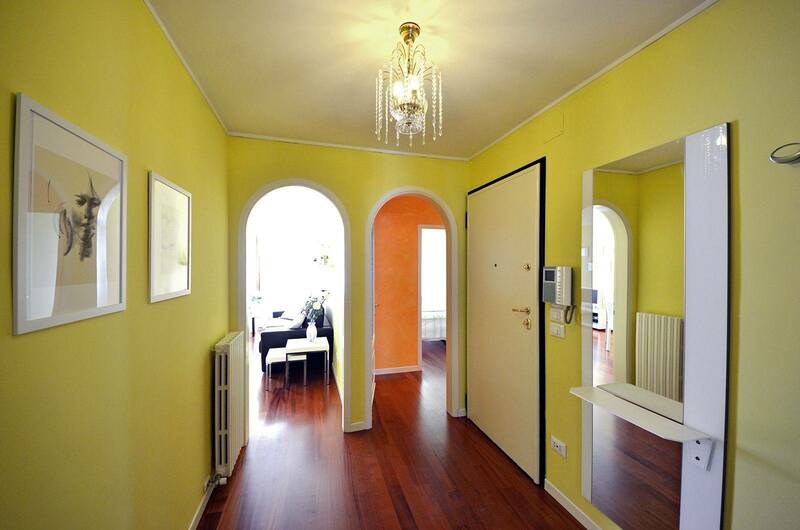 Being close to two vaparetto stops is a major plus, and it is only a short walk to Zattere. Although it can be a bit noisy along the canal at night it is very quiet with the shutters closed. The location was perfect, with great places to eat very close by, many restaurants in child-friendly squares, and the water bus stop only a 5-minute walk away. Being close to the university and school made the apartment feel very local. The area was very safe and the children could cross the little canal to the ice-cream/pizzeria whilst we watched from the window. 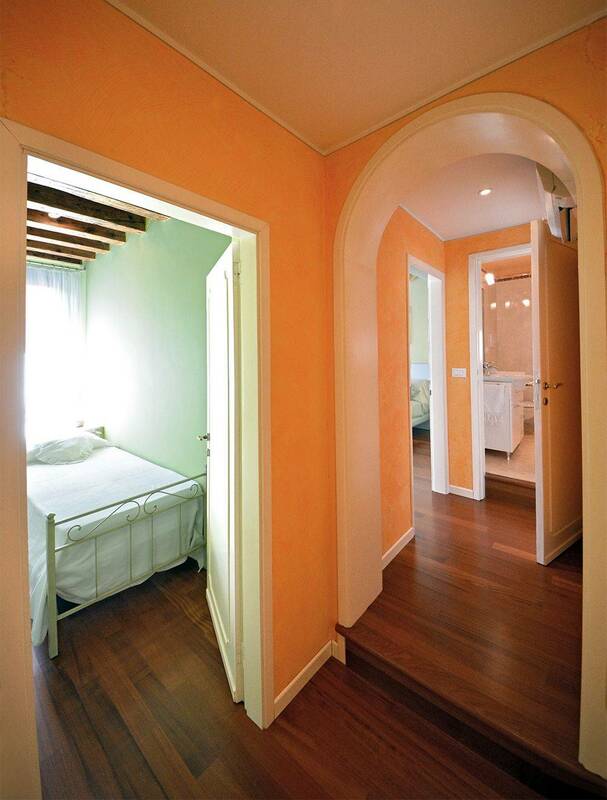 We have stayed in boutique hotels on prior visits to Venice, however the apartment was the best value. We also discovered Zattere (10 min walk from apartment) a great experience especially for restaurants. We would definitely stay in the apartment again. 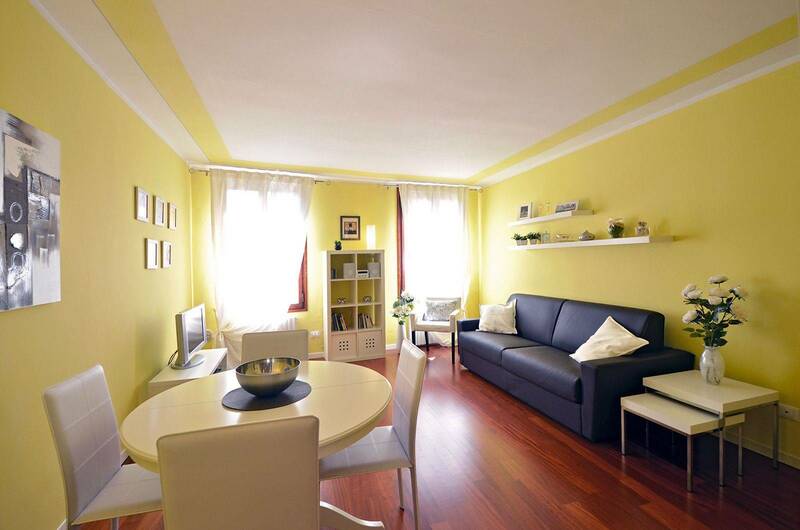 This apartment provided everything that we were looking for in our Venice vacation - great location, comfortable accommodations, and helpful management. We also liked that we were off the main tourist location but close enough to easily venture when desired. We, unfortunately, had a medical emergency upon our arrival and needed to stay extra days. 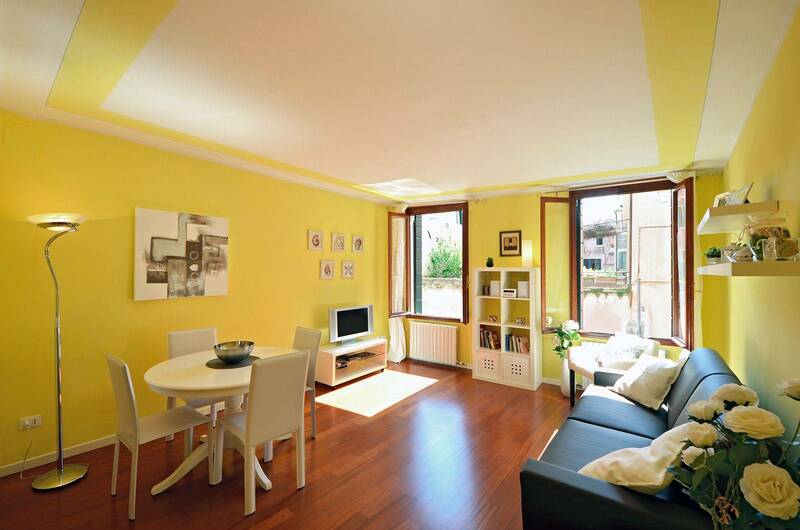 Truly Venice was responsive and accommodating which helped us immensely. All worked out (health-wise) and our family enjoyed our stay, in large part due to the helpfulness of the management team. We thank you, again, for all of your assistance as we needed. 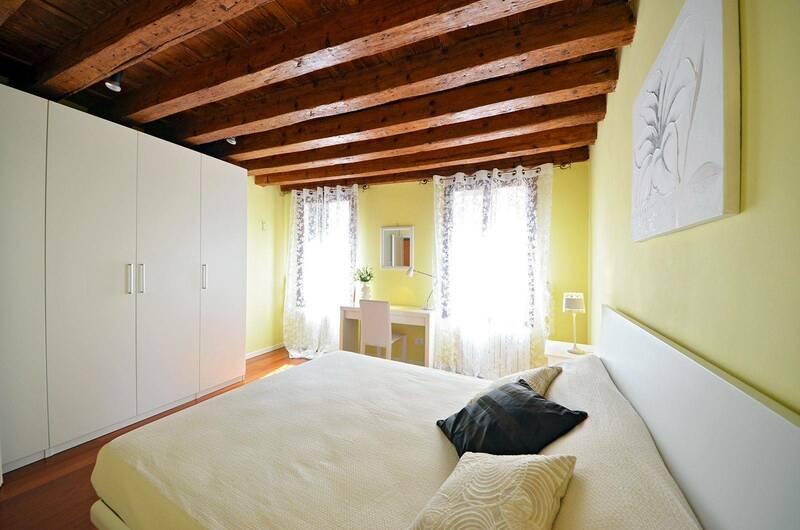 We would definitely recommend this apartment to anyone looking for a fantastic place to stay in Venice. A bright airy apartment on a canal on the 1st floor (2nd to Americans) of a three story house in a lively (but not too) neighborhood. 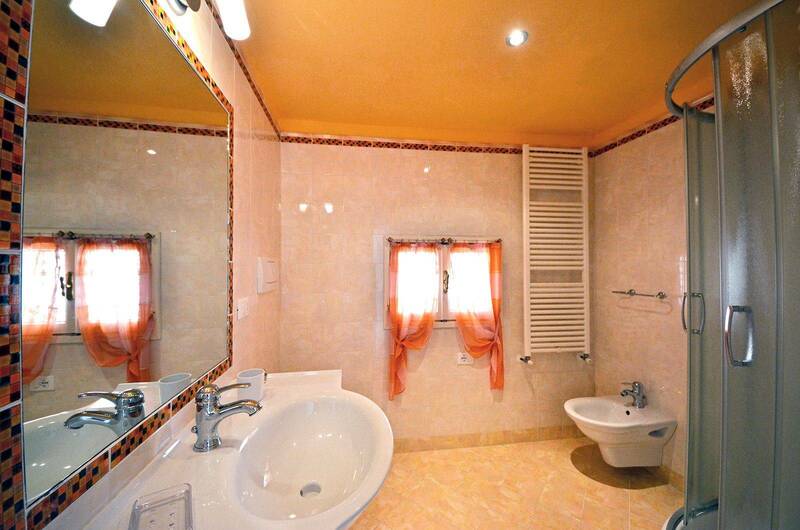 Very clean, nicely furnished, good bathrooms and a well equipped kitchen. Hope to stay there again. 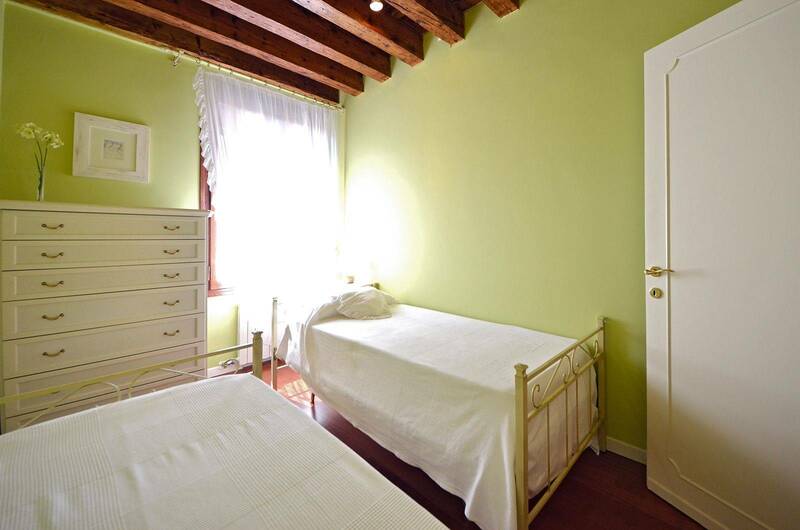 This was my 3rd stay with Truly Venice and the second in the Mantegna. The whole process of booking, arranging for a water taxi, meeting the taxi on the quay and being taken to the apartment was each time very smoothly and professionally handled. 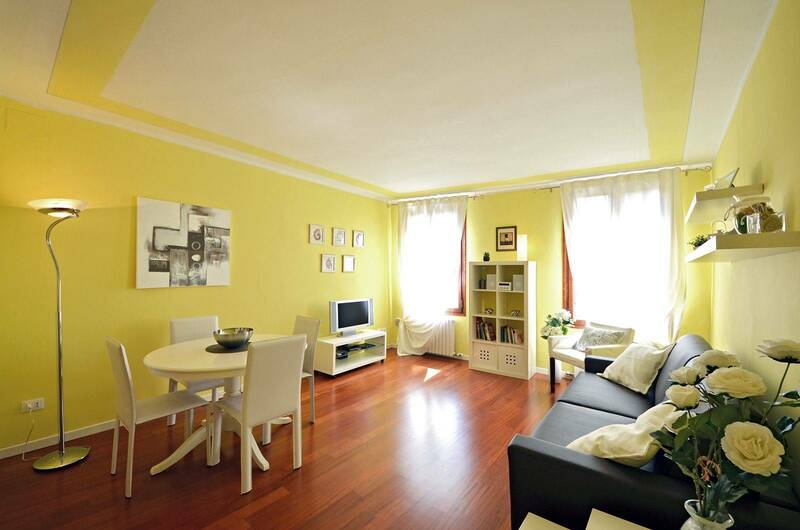 The apartment we rented through Property Solutions for our recent stay in Venice was perfect in every way accurately described on the website, well-priced, spotless and very well appointed with thoughtful touches for the traveler. 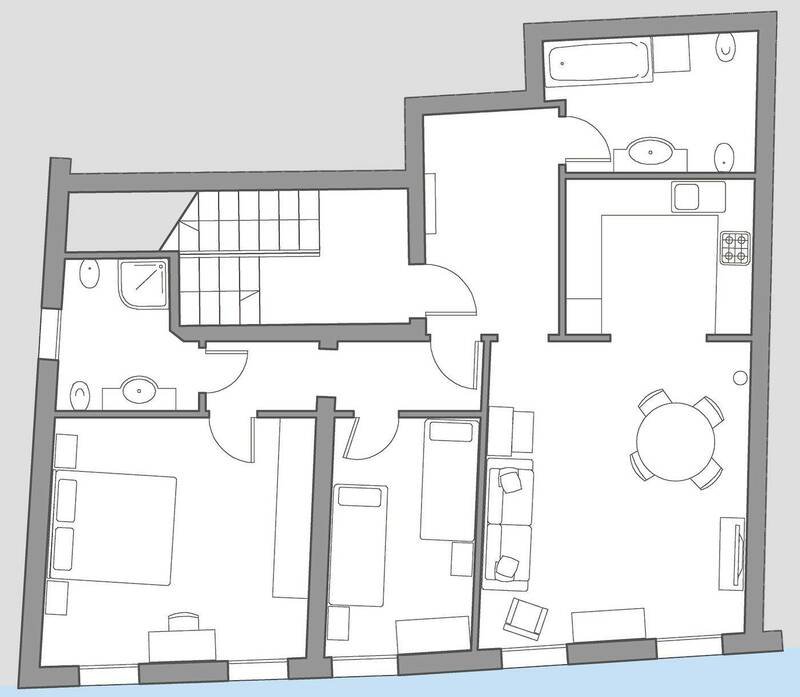 The apartment was also well-located. Daniela, one of the proprietors of the company was extremely well-organized; on our arrival by train, she welcomed us at the Vaporetto Stop with information and the keys, and also gave us valuable information on her favorite restaurants, where to get the 'best' gelato in Venice, and where to purchase an inexpensive cell phone. All of this proved infallibly accurate and added to our enjoyment. As a mature couple (both college professors), we would rent another apartment from Daniela and her company in the future...we recommend them most highly.